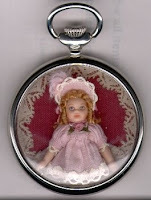 I just added these 10 new cottons to minidolls.com. Checks, Stripes, Voiles & Plaids, all 100% imported cotton, 45" wide. Above photo is of the lady's hand fan with a tassle flourish. Pull off three long strand of the embroidery floss and set aside. Cut the remaining piece into 3, 2" lengths. Fold the three lengths in half and pinch into the black binder clip. The folded center should be exposed. Take one of the long strands and tie together at the center of the fold. It is easier to handle if you thread it with the needle and then do the work. Now take the rest of the threaded strand and tie around the bundle to make a tassel head. Take the toothpick and use it to separate and untwist the strands. Snip the bottom ends of the tassel to make a nice clean straight line. 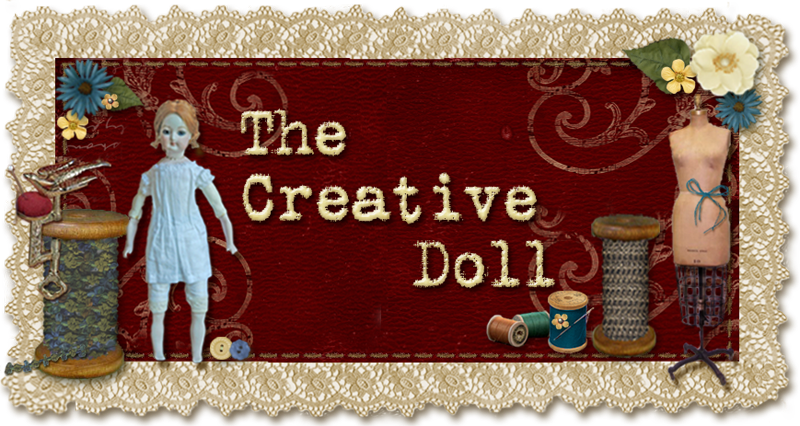 The paper dolls of Brenda Sneathen Maddox have inspired many of my favorite commissions and patterns. I love her style. 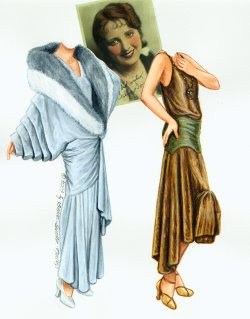 (http://www.fancyephemera.com/) I received a picture of a paper doll of Billie Dove, a 20's screen siren, and was asked to make the dress for a dress shop. 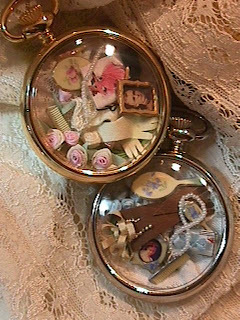 Miniature clothing for a hanger is made very differently than miniature clothing to fit a doll and this commission was especially challenging. There is no pattern at this time, but I thought you would enjoy seeing what others like and how great things are in miniature. Mr. Burbidge, Senior Designer (retired) for the famed bridal house of Priscilla of Boston, started his project in the 1970’s, the collection of his little ladies represents the culmination of almost 30 years of research and exacting effort. A member of the Costume Societies of America and England, Burbidge was first inspired by an exhibit he visited as a World War II GI in Paris. 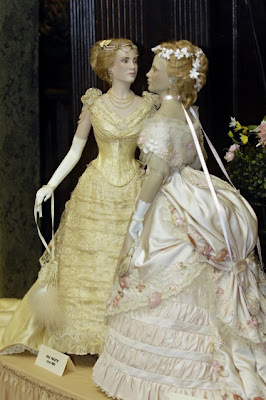 He later visualized a series of historically-correct costumes on a group of “perfect little ladies,” reduced in scale, wherein one could enjoy in a sweeping glance the fashionable elegance of a time gone by. Amazingly, each outfit is an original design by Burbidge who after extensive study, imagined himself working as a designer of the period. I do hope it is true "imitation is the sincerest form of flattery" as I have created my miniature copy of his Spring Watering Place dress. His mannequins are 29" tall(very top), mine only 5 1/ 2" tall figure(above). I have had to simplify some of the items for presentation on such a small figure but I would hope Mr. Burbidge would be proud of my attempt. This pattern, La Petite Belle Pattern 5033, and fabric kit can be purchased from minidolls.com. Create your vision today. I have also included pictures of some of the other ladies in his collection (below) for inspiration, Mr Burbidge is picture in the center. To see more of the figures click here: Exhibit. John Burbidge was a creative and prolific fashion designer for the Priscilla of Boston wedding gown company from the late 1940s to 1985. Burbidge, born in 1922, went to work for the Priscilla of Boston firm in 1948, after graduating from the New England School of Art and Design and serving for three years in the Army during World War II. He started out operating a button machine and gradually worked his way up to designing. His technique involved clipping photographs of models from magazines, laying tracing paper over the cut-out, and tracing the figure, onto which he added his design. After creating, in his words, "hundreds" of sketches and doodles, he would work out the details in muslin. 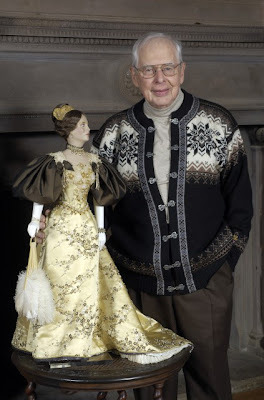 Eventually he achieved status as Priscilla Kidder's favorite designer and was known for his use of certain features, such as bows, bustled backs, puffed sleeves and "star" bodices. 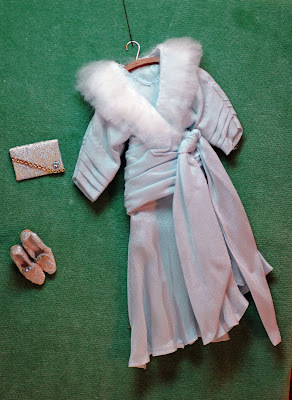 The high point in his career with Priscilla of Boston was in 1971 when he designed the wedding dress worn by President Nixon's daughter Tricia at her White House wedding to Edward Cox. The design had a strong influence on wedding fashion, though the design used was never duplicated by the company. 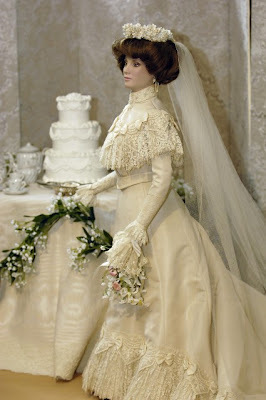 Since leaving Priscilla of Boston, Burbidge has made a second career designing and creating dolls in elegant historic costume, while Burbidge's wife, Cile Bellefleur-Burbidge, designs and creates elegant and elaborate wedding cakes. I just have to post about this precious little mini Bleuttes made by Lucie Winksy. They are on my list of precious things I really want. I do not do much collecting of late...feel to guilty buying such frivolities when I have 3 kids now....but I have to find a way to get one of these special little dolls. The original Bleuette (measuring 27 cm. 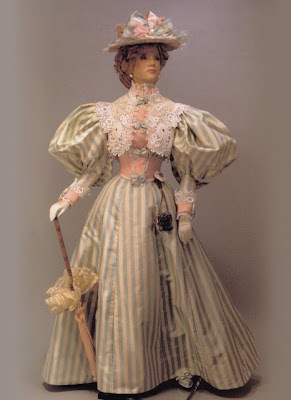 (10 5/8”) in height) is a doll that was offered to young girls in France from 1905-1960, and was only available through La Semaine de Suzette, a weekly periodical for girls. 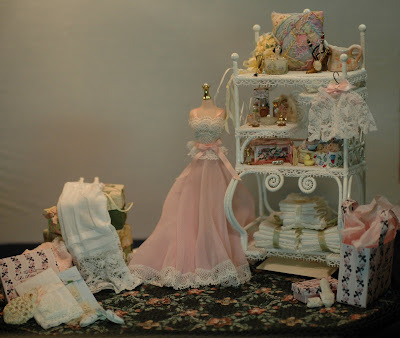 The magazine was filled with games, crafts, recipes and stories along with patterns to make clothing for Bleuette. 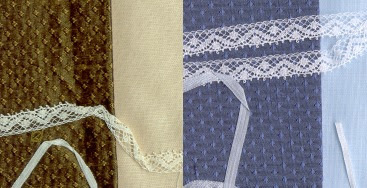 There were more than 1,060 patterns published over the 55 years Bleuette was produced. She was the Barbie doll of her time. Several different heads were produced during these years, the most popular being the 301.